If you work on the DropDownList control, eventually you will be asked to populate some sort of data grid based on the selection on the list. The most common control you have to populate is the GridView control. This tutorial builds from part 1 and part 2 about DropDownList control. So make sure you go through those blogs before you start this one. 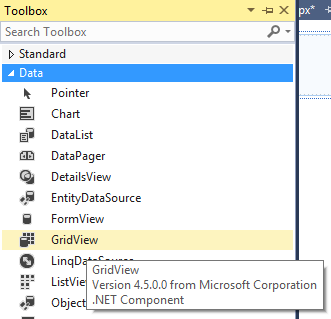 In this tutorial we will learn how to populate the GridView via a DropDownList selection. SqlCommand cmd = new SqlCommand("SELECT DISTINCT ProductID,ProductName,UnitPrice,UnitsInStock "
Notice in the code above we have to call the BindGridView method twice. Once when the page first loads, it will take the default selection which is "Seafood" then on subsequent page loads it will take the user's selection to populate the GridView control.